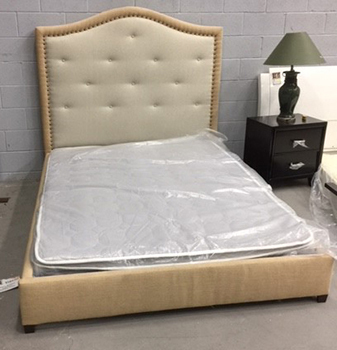 Receive (1) $1,269 Camel Back Burlap California King Bed Frame with Nail Heads for only $150! Mattress not included. Queen Size shown in picture. Discount Furniture Warehouse: The Best Furniture Store for the Best Discount Furniture in Honolulu, Hawaii with the Biggest Furniture Selections For You to Browse!